So I've been on a wool rampage since I came into a bit of money and found out there was a mill near me. 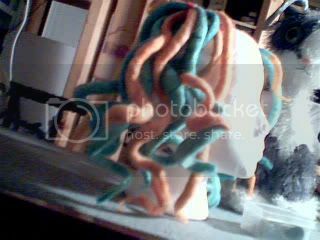 But cutting the chit chat here are some pictures of some roving dreads that I'm making for my Otakon Mudkip cosplay. There are 15 DEs total. Most are either a solid turquoise or orange but some have blue 'bodies' and orange tips. A weird little picture I took and sort of liked because of the shadow and light. That and I think it shows the colours pretty well. The only problem is that some of them went flat in some places. I think it's because I didn't felt them well enough but they were pretty tight when I rolled them the first time. Suggestions? Also some of them are not as curled as I would like them to be but I think it's because I was too excited after following the instructions for curly roving by DreadStarMonter and unrolled them when they weren't really dry all the way. I want to curl them again, so should I felt them again before I wrap them up around perm rollers and throw them in the wash? 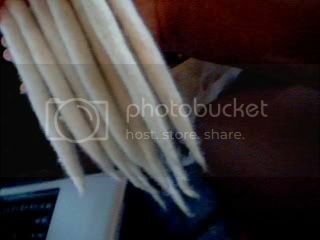 Here's some really chunky dreads [9 DEs] that I made when I was almost set in how I wanted my hair to look. 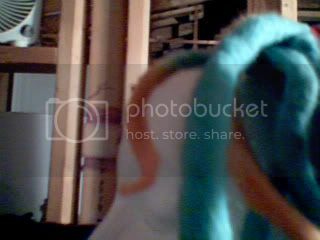 I'm not too sure about them now that I have this really cute curly bunch on my foam head. Do you think it would be too much to mix chunky and straight with sorta thick and curly? The curly dreads are a little thicker than a sharpie marker. The colours are really washed out in the pic but in reality they're a real nice deep purple, lilac, and pink blend/swirl. some have a hint of soft butter yellow and ice blue. 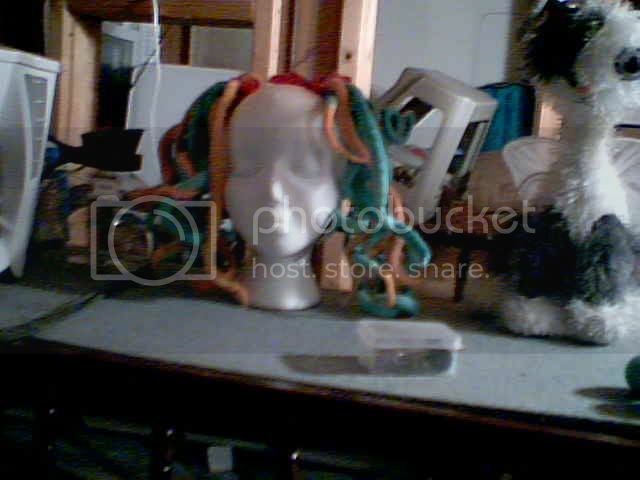 The black is synthetic hair that I didn't really have any use for. 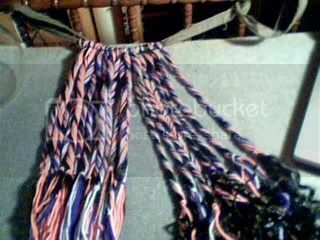 I sealed them about 10 times with an iron but they still unravelled after a hard night of dancing and craziness. Ohhh that might be the problem. I've only felted them once when I initially made them. 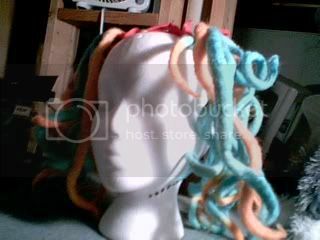 I plan on making some more so I'll probably felt them two or three times just so the curl comes out better. 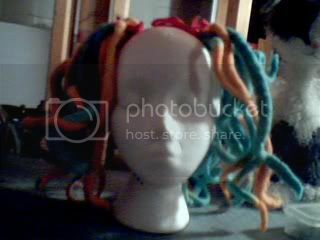 Do you let the dreads dry before you refelt them? yes, in the nice weather I dry them outside over the washing line. As you have got good advice above on the roving, I will stick to my area of expertise; yarn. Candied_Angel wrote: The colours are really washed out in the pic but in reality they're a real nice deep purple, lilac, and pink blend/swirl. some have a hint of soft butter yellow and ice blue. 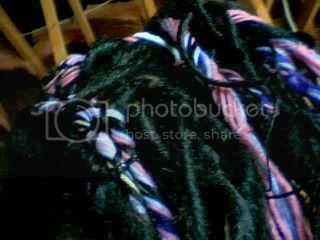 The black is synthetic hair that I didn't really have any use for. 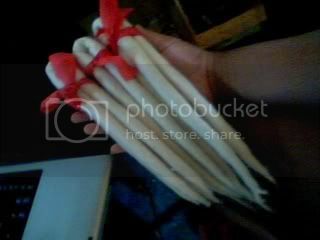 I sealed them about 10 times with an iron but they still unravelled after a hard night of dancing and craziness. No amount of heat sealing will stop yarn from unravelling, i'm afraid. 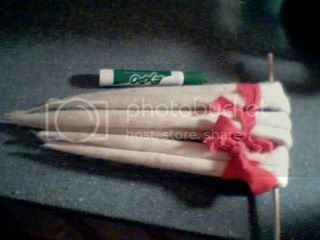 Yarn wraps are achieved by careful and secure wrapping, and fixed with knots. The only thing heat (especially extreme heat) will do is warp your wool, if it does anything at all.